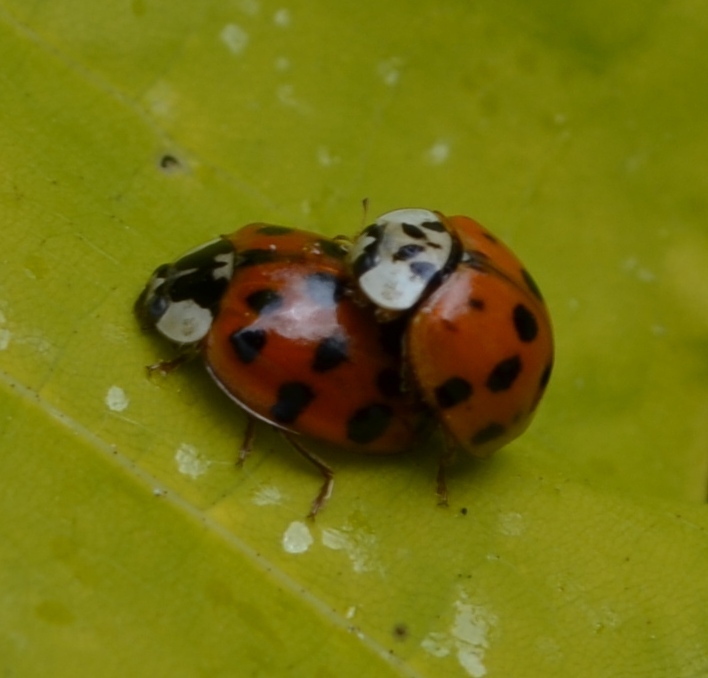 Harlequin ladybirds arrived in the UK in 2004 and are spreading rapidly. This week I have noticed many mating pairs on campus – some in the traditional red-with-black-spots colours but also many that are predominantly black. The UK Ladybird Survey is tracking the spread of this invasive species. The Harlequin is bigger than many of our native ladybird species and tends to out-compete them. A pair of Harlequin ladybirds preparing the next generation. This entry was posted in Animals, Beetles, Insects. Bookmark the permalink.